More than €15m (£11m) worth of cocaine turned up Monday in boxes of bananas delivered to supermarkets in and around Berlin, police said. Staff working at 14 Aldi stores reported the stashes of narcotics tucked in the produce deliveries from Colombia, which police believe ended up at the shops by accident. “Apparently there was a logistical mistake somewhere along the line,” police spokesman Stefan Redlich told AFP, adding that investigators were now trying to determine the intended destination of the drugs. He said the 386-kilo shipment was the biggest single cocaine find in the history of the German capital. 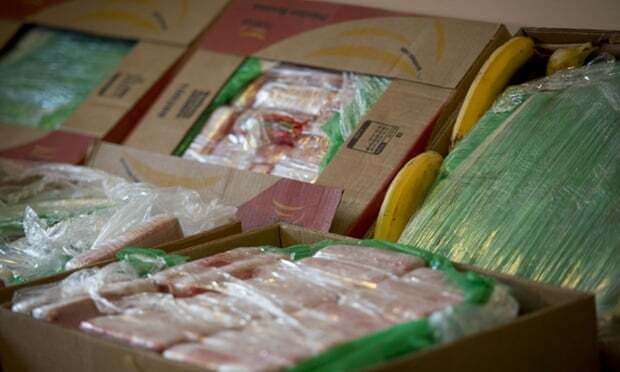 In a similar case in January 2014, Berlin supermarket workers discovered 140 kilos (310 pounds) of the drug worth around €6m (£4.4m) also hidden in crates of bananas.